Lebanon's Startup Ecosystem: What does the future hold? 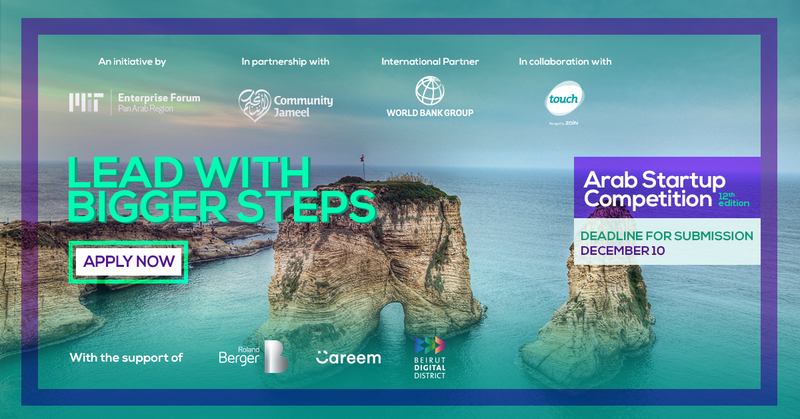 After 11 editions, MIT Enterprise Forum’s Arab Startup Competition is finally coming to Beirut this year. We are lucky to be working with great partners who believe in our mission and truly understand the importance of entrepreneurship and technological advancement in emerging markets such as Lebanon. Supporting entrepreneurs on their home turf not only organically develops the ecosystem from within but also drives forward the economic wheel in an efficient and sensical manner. Meaning, MENA entrepreneurs will have the opportunity to work on their solutions alongside regional and global partners in a way that establishes for long-term partnerships, and maybe even financial investments. By coming to the Lebanese capital, Arab Startup Competition participants will benefit from world-class mentorship, access to investors, regional/global media exposure, as well as excellent networking opportunities. The Lebanese startup ecosystem had witnessed numerous changes in recent years, so we decided to holistically look at the data we have and came to some interesting realizations. In 2014, Banque Du Liban (BDL) decided to inject 400M into the Lebanese enterprise market, which guarantees 75 percent of the banks’ investments in the knowledge economy through direct startup equity investment or indirect startup support entities. BDL’s circular 331 did cause a seismic shift in the way Lebanese entrepreneurs take risks and ventures. Looking at our data, we realize that there has been an exponential growth in the number of Lebanese ASC semi-finalists, which means that more Lebanese entrepreneurs are taking the step forward to follow their vision and experiment with new markets, technologies, and innovations. While circular 331 is mainly tailored towards growth stage startups, that did not discourage early-stage entrepreneurs, especially with the abundance in support from universities and accelerator programs, that are specifically providing these entrepreneurs with the knowledge, hardware (3D printers and prototyping fablabs), and the networking needed to reach that stage. Among the supporting programs is (obviously) the Ideas Track in the Arab Startup Competition. In short, circular 331 caused a paradigm shift in the Lebanese startup ecosystem, creating new opportunities and safety nets that were not previously available. Although lacking in transparency (banks only have access to the real metrics of what has been invested, and what are the financial returns of that investment), the circular did encourage Lebanese entrepreneurs to diversify their endeavours in terms of industries and sectors they innovate in. To understand that, we studied the impact of circular 331 in terms of the industries that Lebanese innovators are working on, and we realized that more and more entrepreneurs have grasped the concept of entrepreneurship as a solution finder to the country’s many ails, specifically in the fields of energy, health, and infrastructure. Startup competitions have proven to provide an additional incentive to students and entrepreneurs alike to keep innovating and prototyping solutions. Competitions for entrepreneurs are like the olympics for athletes, they act as a yardstick to compare performance and realize opportunities where they exist. This idea has manifested itself in the data we got on the Lebanese Arab Startup Competition participants. With increasing Lebanese ASC participants, the ecosystem still has a long way to go. Collectively, circular 331, the numerous startup competitions, conferences, educational programs, awareness campaigns, and communities all add to the efforts being made to empower entrepreneurs and to embrace that choice (of having a startup) as a viable career choice for many. It is important to recognize the strides made by the Lebanese ecosystem, and celebrate the multiple achievements made by entrepreneurs that are turning the city in an emerging hub for technology and innovations. Applications for the 12th Arab Startup Competition will remain open until December 10. Prospective applicants can register either to the startup track, social entrepreneurship track, or ideas track. The final event ceremony will be held in Beirut on March 28-29, 2019. Featured image courtesy of Michel Khoury photography.